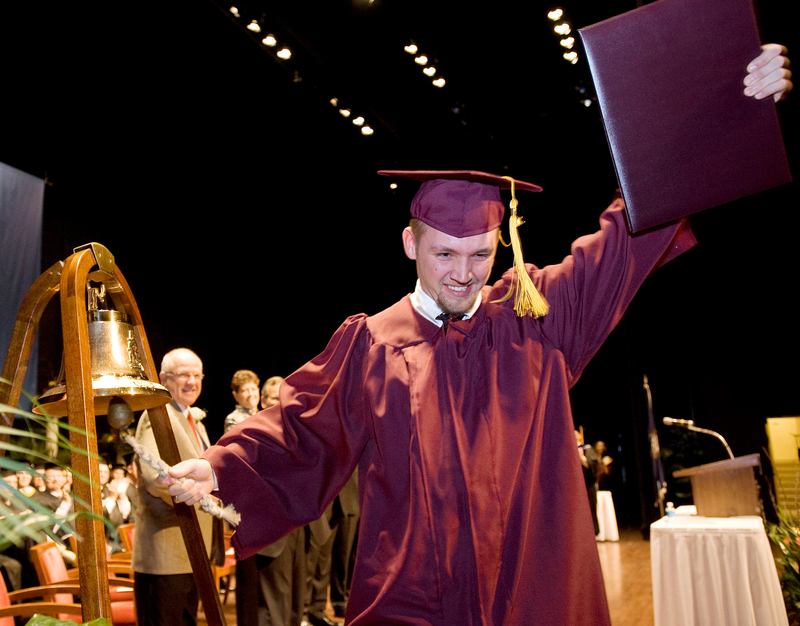 NEWPORT NEWS, Va., Feb. 23, 2009 -- Northrop Grumman Corporation (NYSE:NOC) hosted commencement exercises on Feb. 21 for the company's Apprentice School located in Newport News, Va. The graduation was held at Christopher Newport University's Ferguson Center for the Arts for 194 apprentices, representing 15 trades and three advanced programs. Northrop Grumman Shipbuilding President Mike Petters delivered the keynote address. "As apprentice graduates, you are the future of Northrop Grumman Shipbuilding," said Petters. "What you do -- the steps you take -- the path you forge -- will help determine our future. Seeing you here tonight, knowing how much you've already accomplished -- I'm confident that we have a really bright future indeed! Thanks, and again, congratulations to all of you!" Eric Kilner, a marine designer, received the Homer L. Ferguson Award for earning the highest average in combined required academic and craft grades. "To the graduates of the class of 2008: The bloodlines of craftsmanship, scholarship and leadership run deep here on the banks of the James," said Kilner. "I urge you to continue the tradition of profound excellence that is the inherent backbone of The Apprentice School. Once again, congratulations -- you've made it. And to Mr. Petters, yes, we are shipbuilders." The Apprentice School at Northrop Grumman Shipbuilding-Newport News provides high quality, comprehensive four and five year programs for students interested in shipbuilding careers. Since 1919, the programs have produced over 9,000 graduates in support of the operational needs of the company. An apprenticeship is a formal training program that allows students to receive instruction and experience -- both theoretical and practical, in the various aspects of a skilled trade.